If you’re anything like me, after a few camping nights eating the usual hot dogs over the campfire or burgers on the grill with s’mores for dessert, you start to wonder what else is out there. 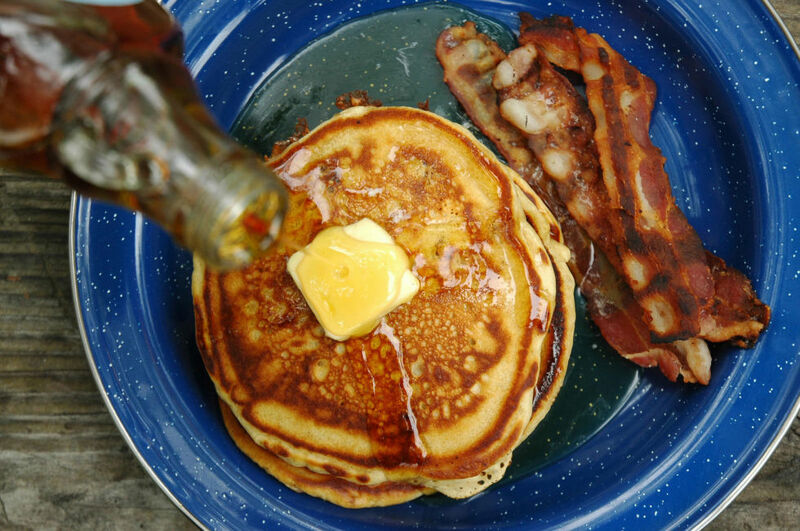 Use these easy-to-make recipes next time you grab a cooler and a camp stove in preparation for a camping adventure. 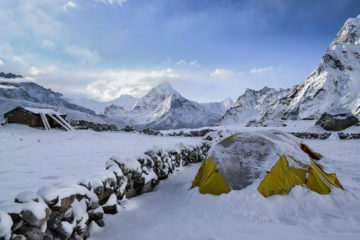 A tip to keep in mind when planning out your camping meals is to seek out any opportunities to prepackage, precook, and slice before leaving home. Doing a few steps at home will free you up to spend your time enjoying your time in the great outdoors. 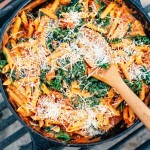 One Pot Protein Pasta is a completely vegetarian, high in protein meal that incorporates red lentil pasta and kale for a savory, warm dish to enjoy around a campfire that only takes 20 minutes from prep to plate. No need for a colander either with this dish as the past can cook right in the sauce for enhanced flavor and to avoid wasting water. For an exact how-to, checkout the full recipe put together by Fresh Off the Grid. Tacos in a Bag are a simple, seasoned mixture of your favorite taco toppings, meat, and chips of your choice! Preparing for this one is a breeze; just dice up your tomatoes and peppers, shred the lettuce and cheese, and grab the sour cream. Pack it all in the cooler to keep things fresh and you can cook the meat (beef or chicken) beforehand. 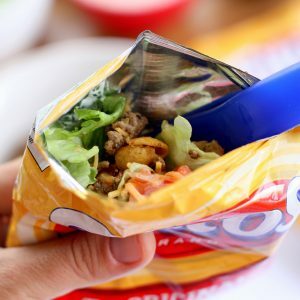 Take taco seasoning with you to mix in when you reheat the meat, and once cooked, toss it all into an individual bag of your favorite crunchy chips. Best of all, it’s a super simple clean up! 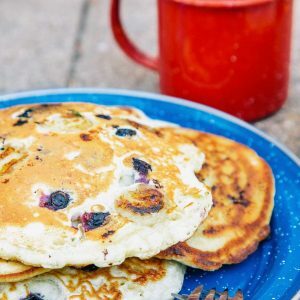 Blueberry Banana Pancakes go great with a morning cup of Joe and a spectacular view. The batter contains dry ingredients: flour, powdered milk, baking soda, and salt which can be combined in a sealable container or bag. All you have to add when you’re ready to whisk up the batter is water and an egg. Heat up a frying pan and you’re ready to pour, add the fruit, and start flipping. For more details and exact measurements, check out the recipe! 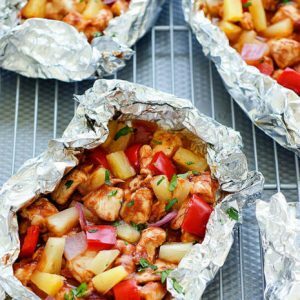 BBQ Chicken Foil Packs are a 5 ingredient meal packed with protein, fruits, and veggies. This versatile meal can be made in the oven at home or over a grill in the backcountry. All it takes is red onion, bell pepper, pineapple, and of course the chicken and BBQ sauce. 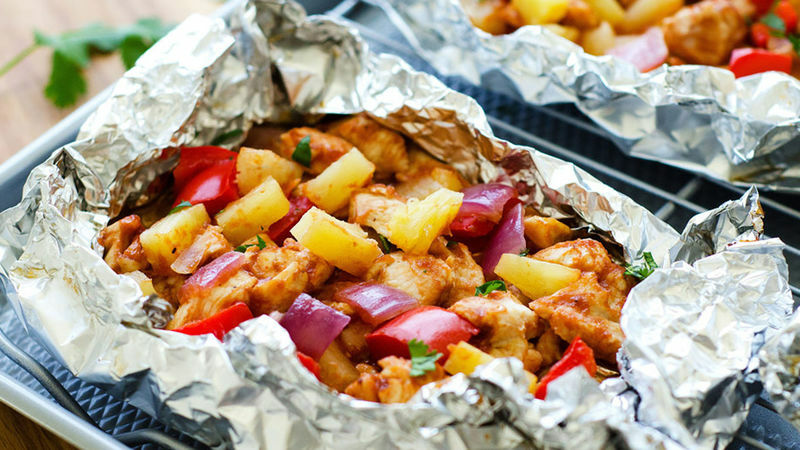 Make sure your fruits, veggies, and chicken are all cut up into bite-size pieces, wrap it up in foil and grill 10-15 minutes on each side. To make it your own, you can switch up what fruits and veggies you choose and add some cilantro for a garnish. If you’re wanting to give it a go, check out the step-by-step recipe here. 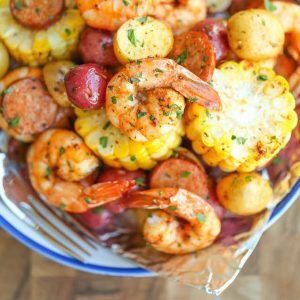 Shrimp Boil Foil Packs bring the taste of the coast and the spice of the south right to your campsite. This home-run meal can be entirely prepared in advance and has no clean up! Simply pack shrimp, andouille sausage, corn on the cob, and baby red potatoes into their own tin foil pouches. Add your choice of seasoning and pack it in the cooler. When the time comes, pop the foil packs on the grill for 12-15 minutes and enjoy in the company of whatever natural wonders lie around you. For seasoning and cooking tips, check out the full recipe. No Bake Apple Bourbon Crisp, need I say more? Ending off this list of deliciously simple dishes, a dessert is an absolute must. 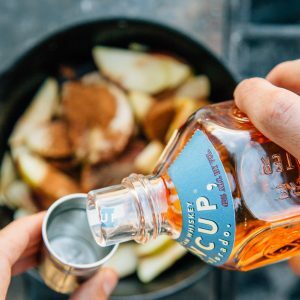 With a cook time of just five minutes, all you will need for this recipe are some basic staples of a camp life pantry: granola, apples, brown sugar, and whiskey. With fall being a primetime for campers, you may opt to stop by a local orchard for your choice of apple. Ending your culinary camp experience with a crispy sweet kick, this will surely put you in the mood for a night under the stars. 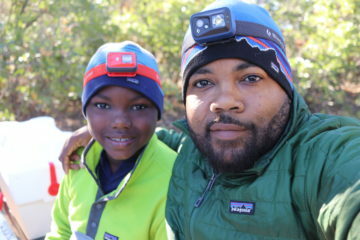 When it comes to time outdoors, never settle for the ordinary. 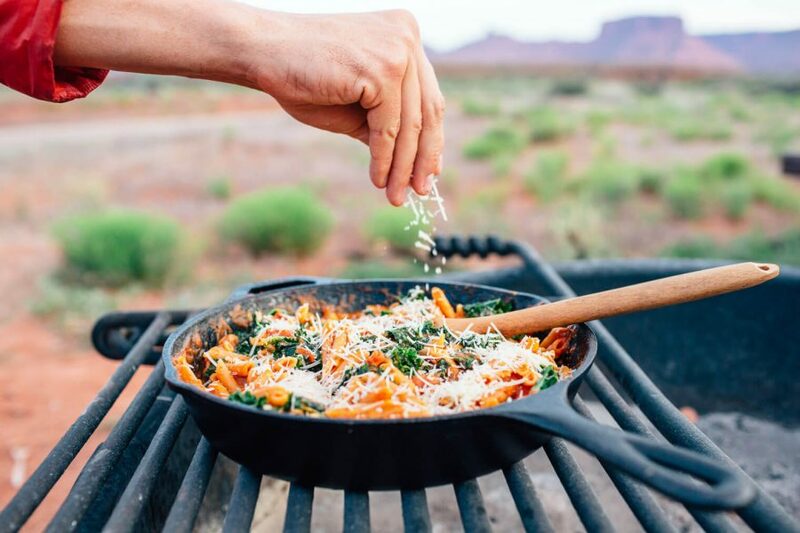 Take on the challenge of making incredible foods and always remember your best allies when cooking in the outdoors: preparation, a skillet, and an open mind.